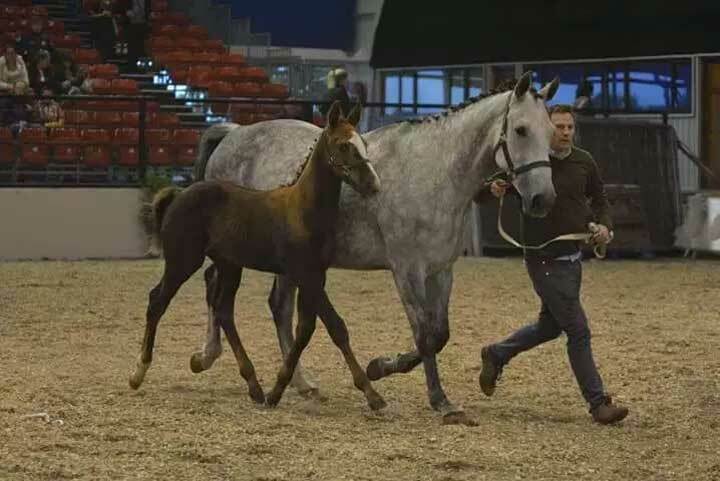 I was lucky enough to be chosen to speak with Jenny Doran from www.horseplay.ie about our small scale breeding operation. Here’s the a link to the full article! Ireland is full of small scale breeding enthusiasts. With a handful or mares, or perhaps even just one (like myself) such breeders are often driven by lofty dreams and a deep-seated love of their horses. 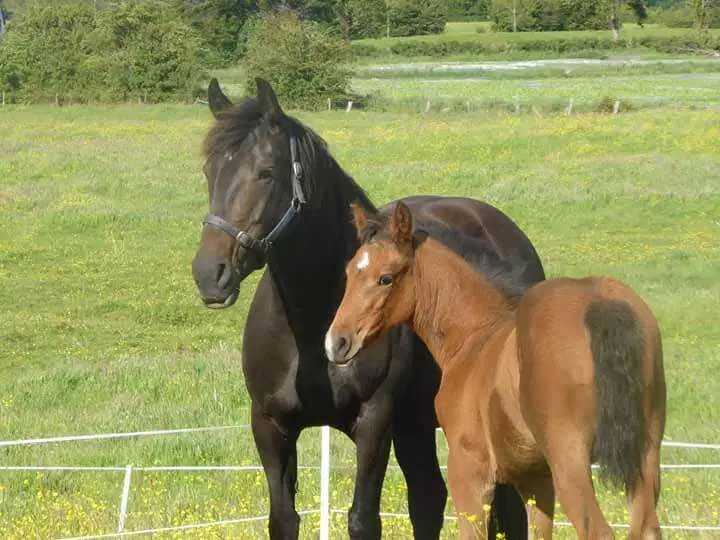 We spoke to one such breeder – John Gavin of Holywell horses – whose ‘breeding operation’ is based at the family farm in Co. Westmeath to find out what took him down the breeding road, what he has coming down the pipe-line and his thoughts on the state of horse breeding in Ireland today. What type of breeder are you? I wouldn’t even really consider myself a breeder to be honest! I’ve a couple of mares and a couple of foals, and I am very interested in it, but in the broader scheme of things I am very much just dipping my toe in the water compared to others. It’s just a hobby for myself and my father and its good to spend time with each other. We are wrecked by the end of July! Its not easy, I’ve a full time job in the City, livery horses in Meath and mares and foals in Westmeath, but it’s all worth it in the end! Dad loves playing with the foals and does a great job looking after and feeding them. I wouldn’t be able to do it without his support and we are lucky to have knowledgeable neighbours and friends who can help us out when needed. Its important to have people you can rely on nearby for support. Why do you get into breeding and when did you start? Its certainly not for commercial reasons that we do it – it’s an expensive game! But, there is nothing nicer than bonding with foals, seeing them progress through life and hopefully on to a home who’ll love them too and give them a good future. We started probably like most people, by breeding from my old Connemara x Arab pony and I am lucky enough to be competing on one of her sons by Last News still. He remarkably grew to 16’1 and is a character to be around! She bred 4 colts – we found that the TB crossed well with her, so we stuck with that. What mares have you got now? Our current broodmares are all Traditional Irish Horses; Crosstown Dancer x Big Sink Hope, Glen Bar x Flagmount Diamond, and Ard Black Cat x All the Diamonds. They have good temperaments, nice conformation and hopefully will continue to breed quality foals in the future. They were all purchased with a view to breed from and luckily enough it turned out they were all from good families. We didn’t know it at the time of purchase but each of them are closely related to numerous International Eventers! So we know their dam-lines are relatively quality and hopefully that will increase the chances of their foals being successful too. We are aiming to breed good all-rounders that will suit a number of jobs and sports when they are older. To me, temperament is very important. Hopefully they be attractive and athletic enough to turn their hand to anything. I’m trying to use stallions that will add jump and suit their frames. Are you expecting any foals this year? We have foals due to Contendro 1 and OBOS Quality this year. They are both multi-purpose sires, so hopefully we get something nice! I would love to breed a Traditional Irish Horse but none are really catching my eye right now. I will definitely breed them at some stage. We are currently looking at Herald 3 or Future Trend again for one mare, and Quintero or Cobra 18 for the other. My short list is getting longer instead of shorter! 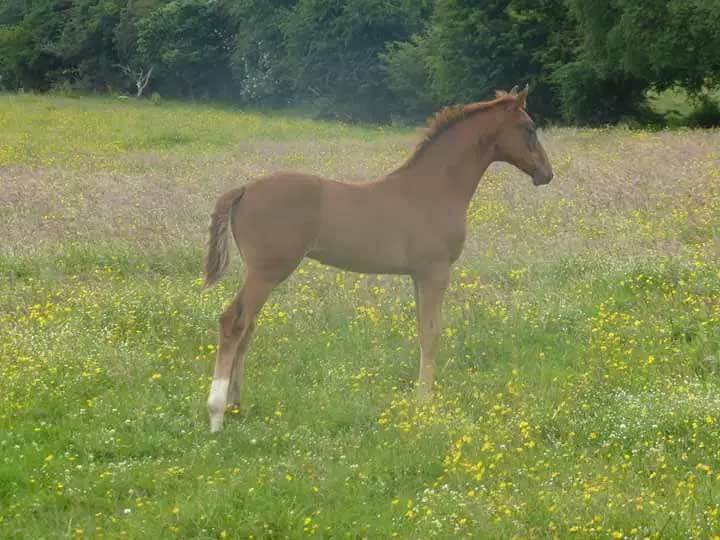 Foals from traditional mares might not always command the highest prices at foal sales, so you have to also be prepared to sell privately, or keep them a few years until they are produced and riding well. I personally don’t think you should be breeding unless you are also prepared to keep it and produce it as an older horse. People selling their foals for less than the service fee are doing themselves and the industry no favours! Do you have any tips and advice for other small scale breeders? There’s a lot of unknowns involved in breeding and rearing so always have a little cash left over in case you need it! Vets fees can add up very quickly and surprise you, so make sure you’ve enough in the kitty before you begin. Make sure you speak to the stud owner and the vet and ask all questions in advance, there are lots of different terms and conditions available and they vary greatly so do your research before you make your decisions. Thankfully there’s lots of options available in Ireland and plenty to chose from. If you’re not sure speak to other breeders who are usually very happy to share advice and experience. Before you begin do everything you can to have a healthy mare going to stud to save unnecessary trips and expenses. I’m not an expert but do a little research on feeds and supplements that might help the process run smoother for you (copper, seaweed, good grass and sunshine works if you can get it!) It also helps getting the mare scanned regularly at home and bringing to stud at just the right time saves on livery and travel expenses and increases the chance of a pregnancy. Any other thoughts on the current state of horse breeding in Ireland? I think its important for Irish breeders to remember that Ireland has been top of the WBFSH rankings in eventing breeding for 21 out of the last 23 years! That’s an incredible stat! And if you go to Badminton or Burghley the majority of horses are Irish bred. These tracks need horses with serious stamina and blood to complete , and the ISH seems to have it! I also read recently in the Irish Field that 67% of international buyers come Ireland to buy Eventers, 40% come for jumpers and 31% come for hunters. 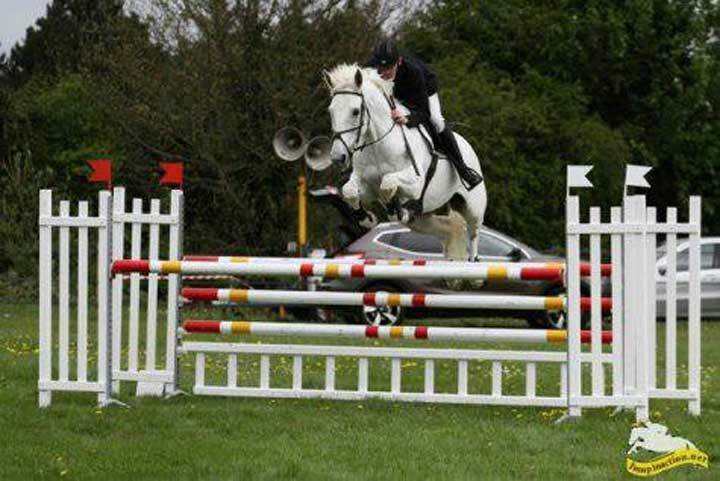 So don’t feel that you have to breed a jumper, go for what suits you and your mare best. I still think that the Traditional Irish Mare is a good product and not one to be cast aside. We should be careful not to neglect our breed, they are getting rarer. It would be nice if more information was available, regarding thoroughbred stallions that might be suitable and available for use as a sire of eventers. We have lost most of our good TB event sires, like Master Imp, Ghareeb, Cult Hero recently. The younger versions of these currently standing in Ireland may be just as good but they will struggle to make the same impact on the rankings as they will get less foals born each year. We probably won’t realise their value till they have passed. So perhaps some sort of performance or suitability testing would be beneficial for TBs for use as Sport Horses. For me personally, I would love to use a full TB but it is a risk as they are not very commercial as foals. Like that, I have my eye on a few but am waiting to see what their youngsters are like! I think potentially it would be nice to see the elite type sales include an event foal section to encourage breeders to breed this type, but I think the event buyers are more after 3-5 year olds as a rule. At the end of the day you can’t force someone to buy something. You have to stand in their shoes and step back from what you have to give an honest assessment of what you have, what you want to get and where you want to be! You can find out more about John, his horses and youngstock at www.holywellhorses.com.